Regular aircon servicing in Singapore will not only ensure that the minor problems in your air conditioning units are addressed, but will also prevent interruptions in daily office routines in commercial buildings and provide continuous comfort at home. A scheduled aircon maintenance might seem like an added expense, but you will be able to save more money on major aircon repair with the following ten benefits of regular aircon servicing. 1. Provide Comfort at Home. A well-ventilated living space is important especially during the humid days in Singapore. An air conditioning unit that has not had proper aircon maintenance for months could suddenly stop functioning. You do not want your family to suffer waiting for the aircon repair to finish or spend thousands for a replacement. You might not be aware of it, but there are health and safety precautions included in the proper use of an air conditioner that must be observed; such as the changing or cleaning of filters to reduce allergens, dirt, debris, and other contaminants. By keeping the air conditioner clean, you will also diminish the dangers of high carbon monoxide levels and prevent mold and mildew from growing in your home because the air conditioner also acts as a dehumidifier. 2. Provide Proper Ventilation at the Office. The air conditioner does not only provide cool air, but it also acts as a dehumidifier for the office. If properly maintained with aircon master regular aircon maintenance, you will be providing your employees and clients with excellent ventilation, preventing airborne allergens and harmful contaminants that can affect their health. A healthy working space will increase productivity because you are making sure that your employees are working in a safe environment. However, a poorly-maintained air conditioner will not just need expensive aircon repair, it can also cost you money for structural repairs in case there are damages in the building due to leaks. Dirty filters can also cause health problems in your employees and even produce bad odors that might turn off customers. 3. Reduce Heat Fatigue. Continuous exposure to high temperatures can cause illnesses, but you could also be exposed to such problems with an air conditioner unit with fluctuating temperatures. This can be harmful to children and the elderly, especially if there is poor ventilation overall, because they are the most susceptible to heat fatigue. Regular aircon servicing in Singapore will help keep your air conditioner in good working condition that is safe for the entire family. 4. Extends the Air Conditioner’s Life. By reducing costly aircon repair, you will also extend the life of your air conditioner. Even if there is no obvious problem with the unit, a scheduled aircon servicing is an essential part in making sure that the aircon has no minor problems that could lead to major aircon repair or expensive replacements. 5. Make the Air Conditioner Energy-Efficient. According to studies, an air conditioner unit that follows its recommended scheduled aircon maintenance is more energy-efficient than poorly-maintained units. The difference goes as high as 30% in modern air conditioning units, as long as there are no internal problems that can affect its function. It even uses less energy than multiple electric fans at home and gives a better cooling effect. 6. Ensure Health and Safety with Clean Air. Healthy, clean air will not just provide you comfort at home, but will also provide a good environment to sleep in. Studies show that the temperature of the sleeping area can affect the quality of rest you will get. If you want to sleep better, and consequently, have better health overall, you should invest in a scheduled aircon maintenance with a licensed aircon mechanic in Singapore. 7. Reduce Noise. An air conditioner that produces loud noises means that there is something wrong with one or more of its parts. Not only will it use up more energy to meet the demands from it, it will also create an unpleasant environment. 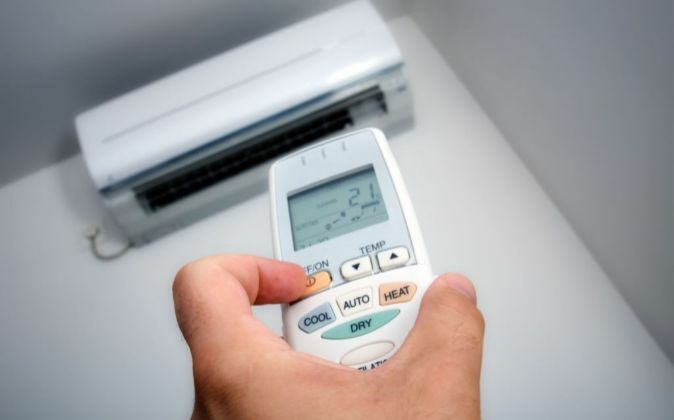 Call an aircon technician in Singapore to inspect the unit and determine what can be done. The loud noises could be coming from the fan or other internal components not easily accessible. 8. Reduce Major Repairs. Save more money by solving minor problems before they can cost you major repairs or replacement of the air conditioning unit itself. Do not wait for problems to occur before you call an aircon servicing company, because it will also interfere with daily routine at home or at the office. There will be less hassle on your part if you can agree on a regular aircon servicing schedule that will anticipate and address the minor problems. 9. Reduce Overall Cost. If there is no need to replace parts if the air conditioner or to perform major repairs, then you will not be spending a lot of money on aircon repair. Aircon maintenance will cost less because you will extend the life of your air conditioning unit, make it energy-efficient, and maintain good quality cool air that will reduce health problems at home or in the office. 10. Proper Installation and Maintenance. 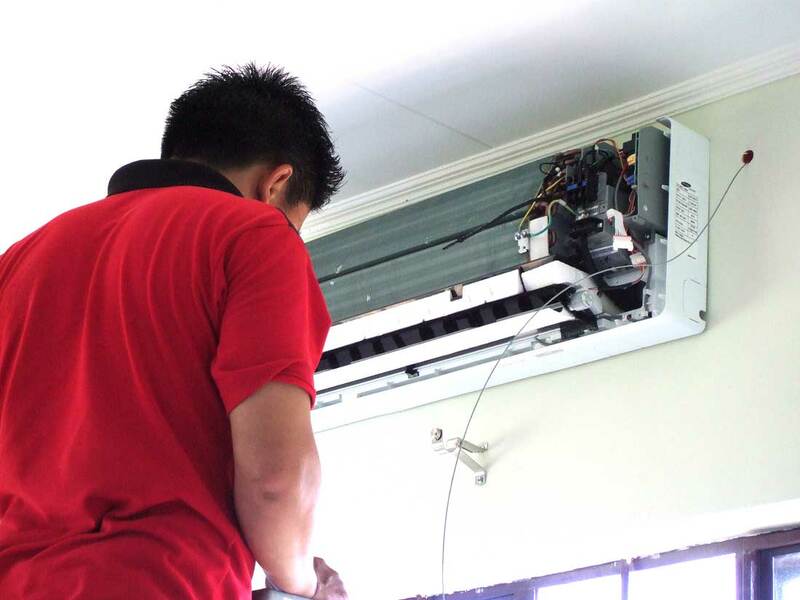 If you are planning to install a new air conditioner in your home or at the office, you should call an aircon servicing company to check the unit and the space. Proper aircon maintenance begins with proper installation, because it ensures that you will reduce problems associated with faulty installation and exposure of the exterior unit to the elements. 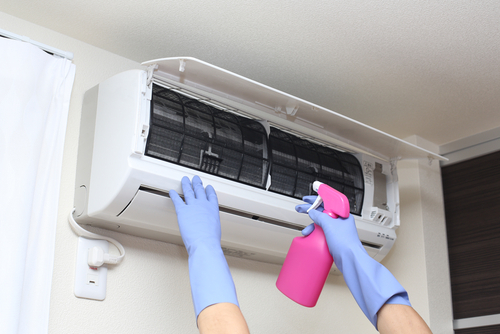 To make sure that your air conditioner unit is in good working condition, the aircon technician will perform the following aircon servicing tasks: clean the coils and filters; check the compressor, fan, belts, refrigerant level, sensors and thermostats, electrical terminals, and other operating units; and test the drains, condensate, tray and look for leaks and damages.